I made a “Reasons to Lose” list when I first started Weight Watchers thanks to the advice in the Beck Diet (seriously great book) and referred to it often in times of temptation and frustration with the whole weight loss process. Now time is flying by and I realize that I’m two months away from hitting my one year anniversary of my goal weight. You guys know that off and on throughout this year I’ve struggled with worrying about what my goal weight should be and keeping bad eating behaviors in check even though I’m done losing weight and with the few pounds I’ve regained since I stopped the half marathon training plan. With all of the mental struggles of maintenance, it’s beyond time I made a list for myself to remember why I’m doing this and why I want to maintain my healthy weight and my healthy habits. Like my “Reasons to Lose” list, I found myself writing down a mix of serious and not so serious things on this list and like my “Reasons to Lose” list, I think this list is something I need to revisit often and update. – Even though I know losing weight has helped my risk of diabetes, the fact is that my family history and my history of gestational diabetes and the years of damage I did to my insulin receptors mean I’m still at risk for diabetes. After doing finger sticks four times a day for three months when I was pregnant, I know I absolutely want to avoid diabetes as long as possible and a healthy weight, diet and exercise will help me stay there. 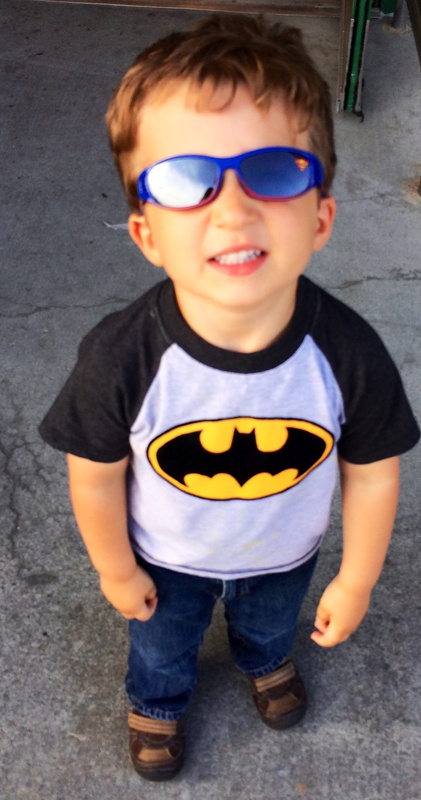 – I have a little magpie watching everything I do (and repeating most things I say) so I know that I have to continue to serve as a good role model for him in my food and exercise choices. I worry about the negative messages I send during this process too, though. He’s fascinated with the scale and likes to weigh himself and me regularly. Right now I think it is just the flashing lights he enjoys, but I need to careful about how much of a role that thing is playing in his little world. – I don’t want to buy new clothes. I’ve finally settled into a size and would like to just stay there for a while, especially as I’ve invested in a suit and some pricey slacks for work. 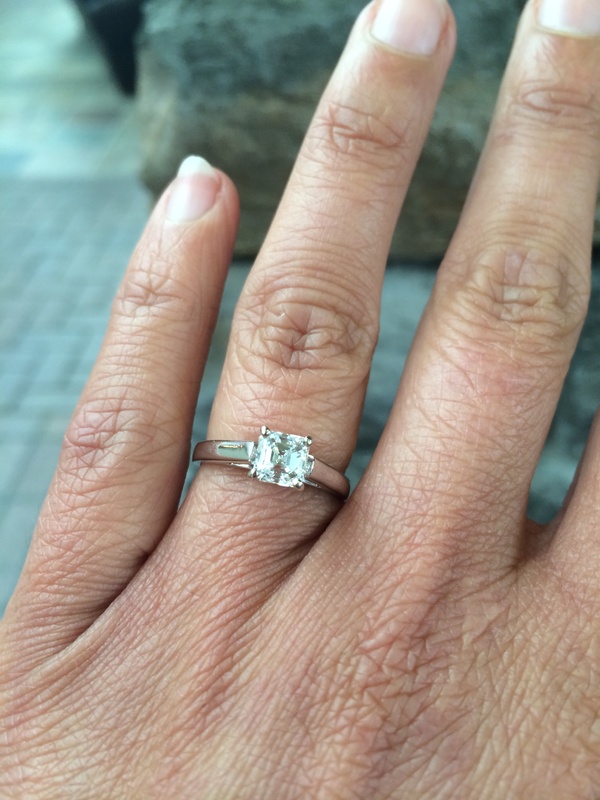 – I just resized my engagement ring and certainly don’t want to outgrow it again! – I’m looking forward to joining the National Weight Control Registry and contributing to research about how people maintain their weight after losing a significant amount. The science geek in me is looking forward to being a data point. – As much as I believe intellectually for myself and wholeheartedly for anyone else doing this struggle, I painfully have to confess that a motivation for me is avoiding that feeling of “failure.” I believe wholeheartedly that regaining weight doesn’t mean you’ve failed. This is an incredibly hard process, psychologically and physiologically, and gains happen so often. It really is a never-ending process, which means you never really “succeed” or “fail” in long term. I believe it has to be day by day. And yet . . . the perfectionist, over-achieving kid in my brain pipes up all too often with the refrain of “everybody’s watching, you don’t want them to see you fail.” The fear of failure was part of the reason I put off trying to lose weight for so long – if I failed to lose, I’d be disappointed in myself and humiliated if others noticed I’d failed. If I lost and regained, like the statistics say we’re going to right? – then it would be really obvious to everyone I’ve failed and I am just not in the mental position where I could extend the same compassion and forgiveness to myself in that instance as readily as I can completely and honestly give it to those around me who are in this struggle. How can I honestly believe that for others in this position (and I truly do) there is no such thing as failure and yet say that kind of thing to myself? That is definitely a disconnect between “How I’d talk to a friend” and “How I’d talk to myself” that I definitely need to work on for my overall emotional health, but I’d be lying if I said it wasn’t the most uncomfortable thing on my “Reasons to Maintain” list. – Okay, back to a more lighthearted issue to wrap things up: I like buying small underthings at the lingerie store. 🙂 New pajamas from Soma are on my Mother’s Day wish list and my husband and I were laughing at the fact that he’d be shopping for size small clothes. I don’t think I ever allowed him to buy me clothes before and he certainly didn’t know my size back then. Do you keep a list of reasons to lose or maintain your weight? 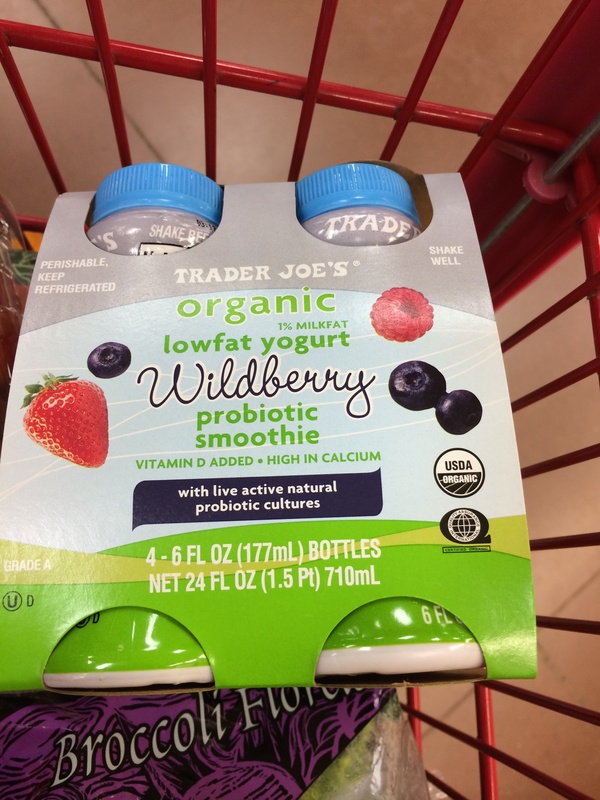 Yesterday, I made a stop at Trader Joe’s to stock up on a few of our favorites and as usual, found something new to try out. 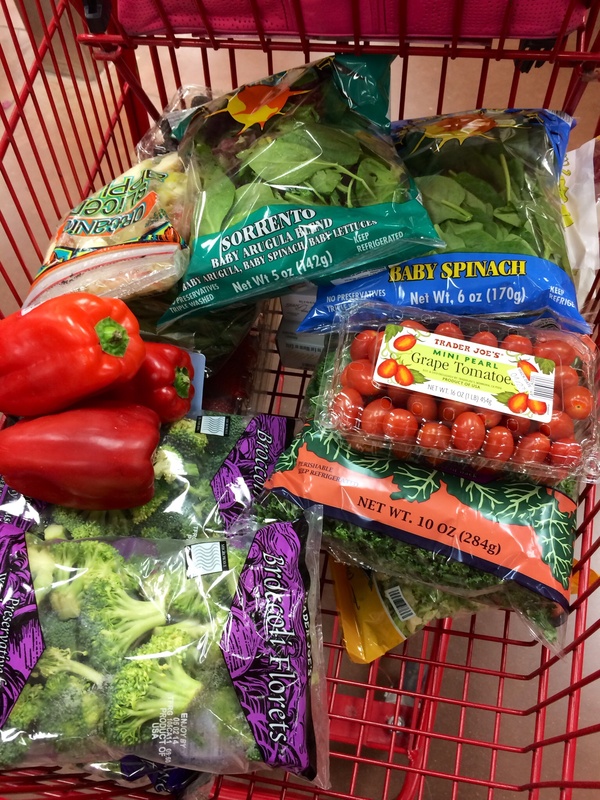 First, I loaded up on veggies and fruits. It always makes me feel virtuous to have a cart mostly full before I leave the produce section. That’s not just me right? 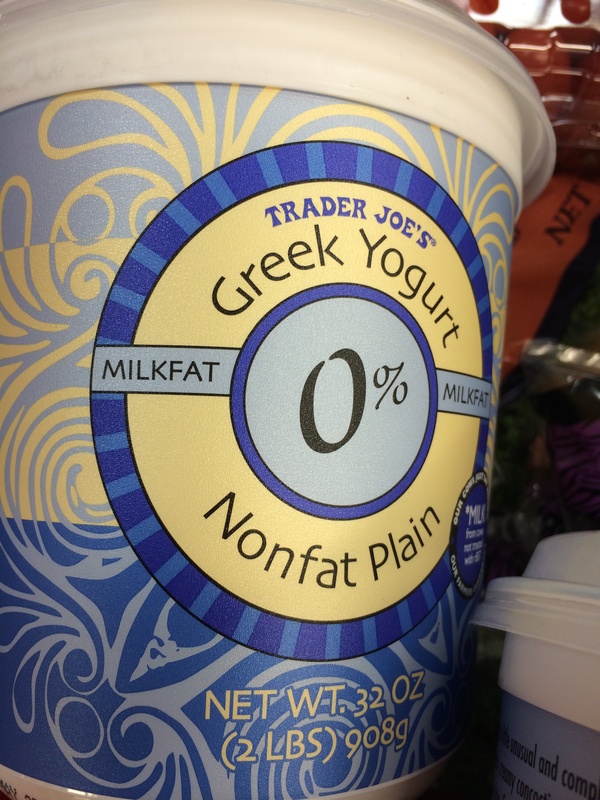 I stopped for some Greek yogurt – the TJ Greek yogurt is thicker and creamier than the Chobani I usually buy at my regular grocery store – and O’s favorite yogurt drinks. I mix them with regular mix for a treat some evenings. We’re also going to try freezing this stuff in our popsicle molds this summer! 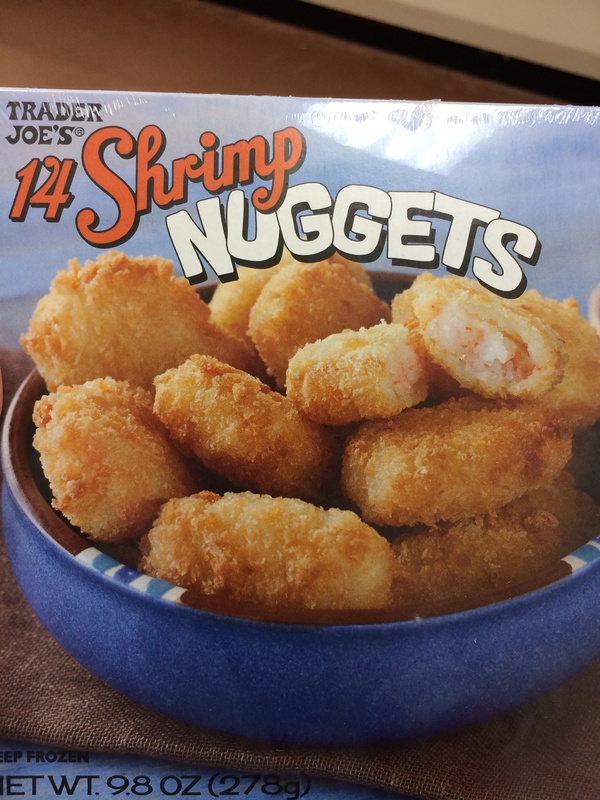 O loves shrimp, so I grabbed some of these shrimp nuggets to test out for a quick and easy dinner. I’ll let you know how they go over! 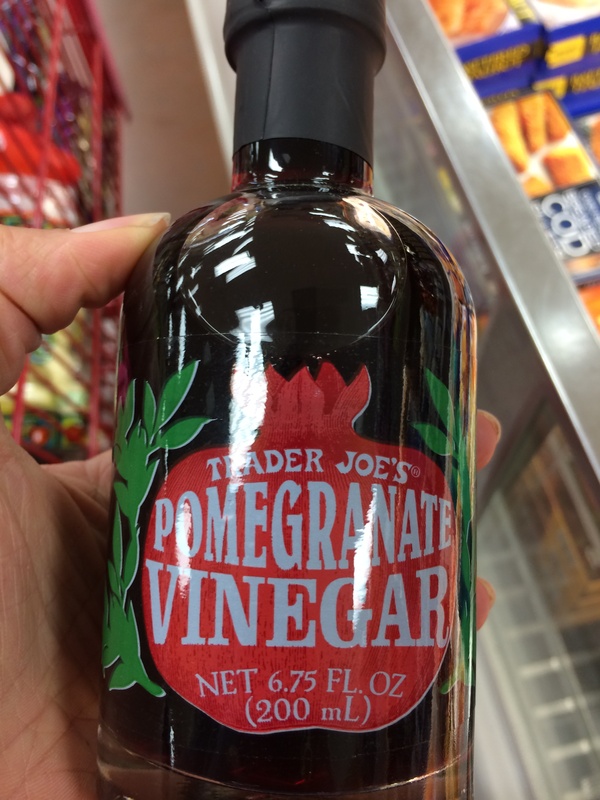 I was intrigued by the pomegranate vinegar as well, so for $3 I thought it was worth trying out. Last night, I used it on my salad and found it be really floral in aroma and mildly sweet in taste. It worked well with my salad of greens, roasted butternut squash, roasted brussel sprouts and lentils. I did some googling to figure out what else I could do with it and found that it was on lots of “natural cure all” kind of lists. I am really not into that stuff, so I kind of laughed at that being the most common “use” of the item I’d just purchased. I also found where it could be used to cook chicken and pork and as a topping for fruit, similar to balsamic vinegar. I’ll let you know how it turns out when I try in those settings. I could definitely see it balancing fruit really nicely. In the meantime, it was a nice little mix up for my usual salad. Trader Joe’s is really the only place I go where they completely fill my reuseable bags. 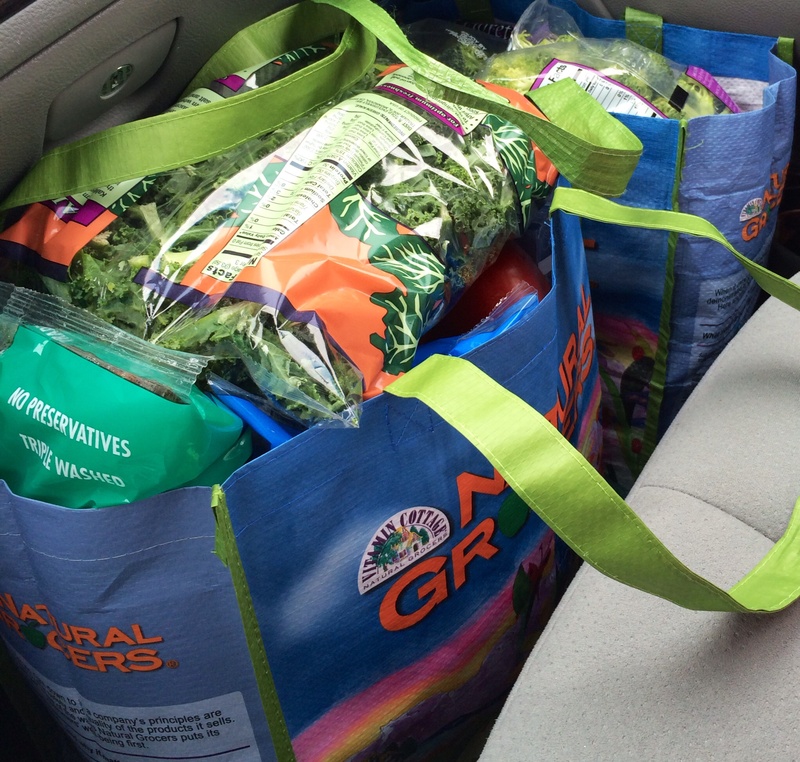 I hate when a grocery store only puts 1 or 2 things in there and then wants to use plastic bags! What’s your latest impulse food buy? Random musings in the airport . . . I got to O’Hare a couple of hours early yesterday thanks to quick and easy traffic through Chicago, which meant I had to time to get in a nice walk through the terminals. 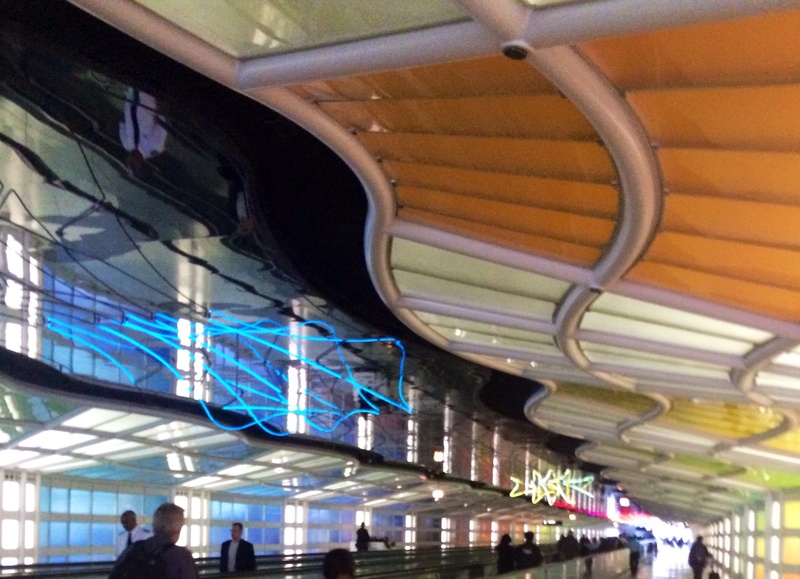 Airports are a great place to get some extra steps in, especially O’Hare. 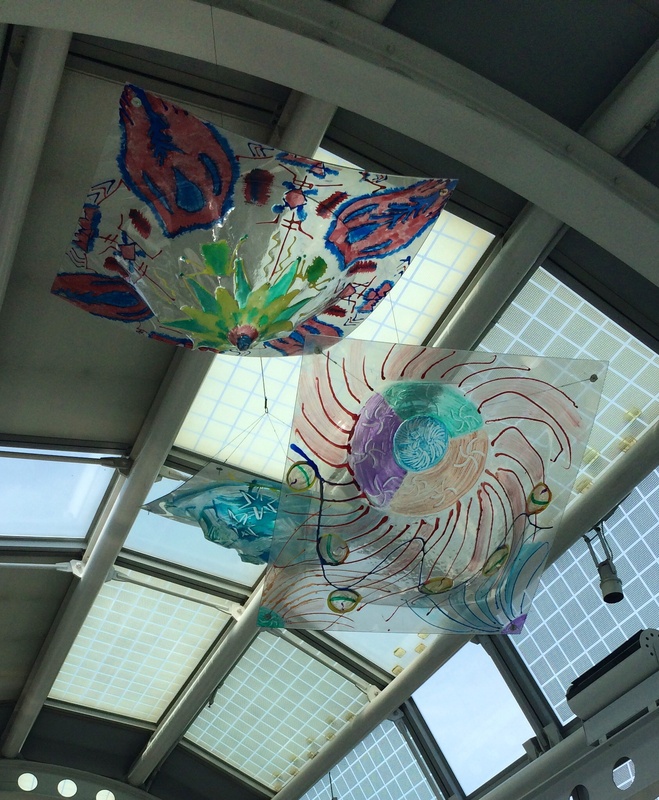 Not only is O’Hare huge, it has lots of fun stuff to look at like a mock model dinosaur skeleton and lots of interesting art exhibits. I particularly enjoy the tunnel with the neon lights timed to music as you head over to concourse C.
I was on my way over to Concourse C not just for the walk, but also to hit up SaladWorks for lunch. Whenever I’m in an airport for lunch, I always Google “healthy eating in O’Hare” or whatever airport I happen to be in. The first hit is almost always this article from Cooking Light several years ago. In addition to SaladWorks, I’ve also tried and liked both options in Detroit (sushi & mediterranean) from the Cooking Light list. SaladWorks has several pre-set salad combos or you can build your own. 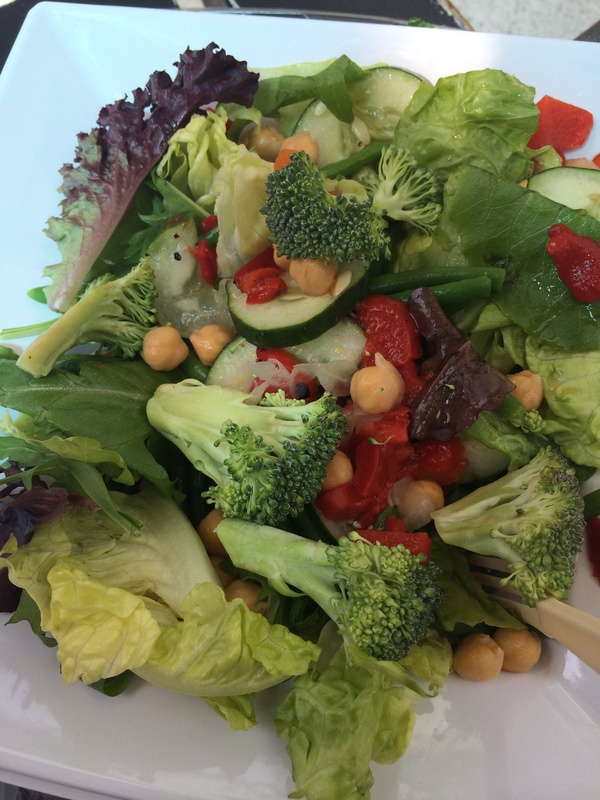 I topped my mixed salad greens with chick peas, roasted red peppers, cucumber, broccoli and fresh green beans. It was very fresh and delicious and apparently looked good enough that a random woman stopped as she passed me eating it on the bench to ask where it came from. When I told her where I’d gotten it, we discussed how far out of the main path it was over in C (true) but how that was okay because you got some extra walking in (also true). It’s funny the airport conversations you have with people. 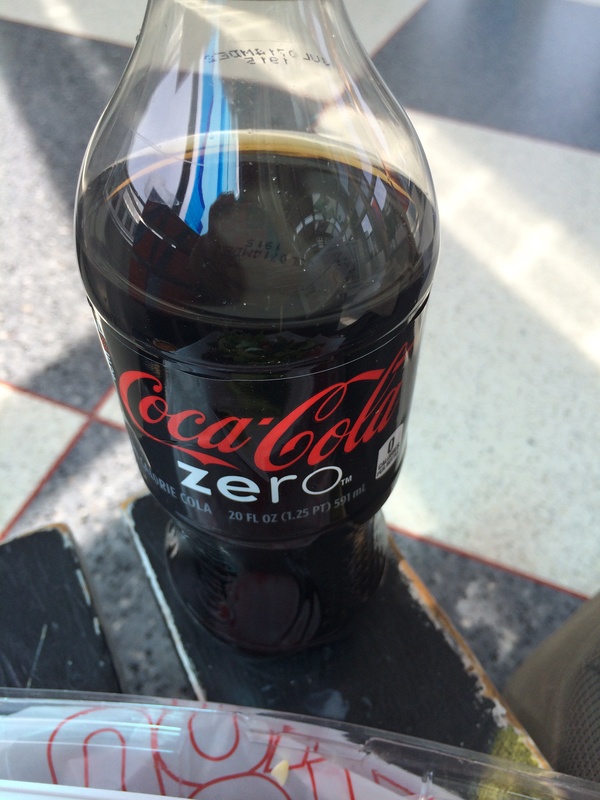 I got a Coke Zero with my salad not because I truly prefer it over Diet Coke – they’re sort of interchangeable for me. However, my husband loves Coke Zero so I order it whenever I can to try to increase “demand” for it to help it show up more places for him. Weird little inconsequential things we do for love, right? I ate my lunch in a lovely little atrium with lots of sunshine and glasswork to look at. I’ve spent lots of hours in O’Hare thanks to delays over the years and I’d say it is my favorite place to be delayed. I used to use any delay in the airport as an excuse to indulge in particularly rich foods (like I really needed any indulgence in my life?). Somehow spending a few hours in the airport meant I was allowed to have 3 doughnuts instead of two and full octane Dr Pepper instead of Diet. Today walking through the airport I noticed there are lots of healthy options too. Being stuck in the airport isn’t an excuse for going completely off track (and really, what is there in the airport that’s worth it?) as much I tried to make it one in the past. If you keep your eyes open, there are lots of healthy choices out there. There’s even a yoga space in O’Hare! 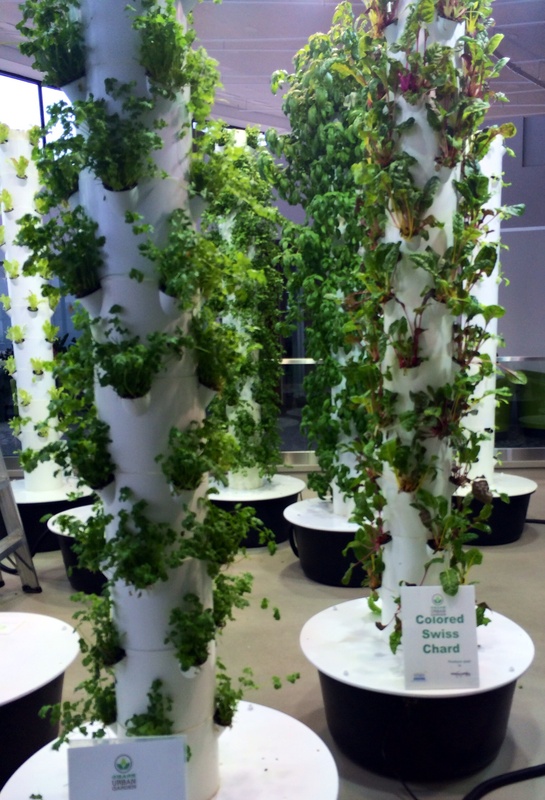 While I was wandering I went up to visit the garden in the airport (between terminals 2 and 3) and found a ton of flight crew hanging out up there! It makes sense as it is a quiet space with cushy chairs and not a lot of people come wandering through, other than the rare person like me who likes to visit the veggies. 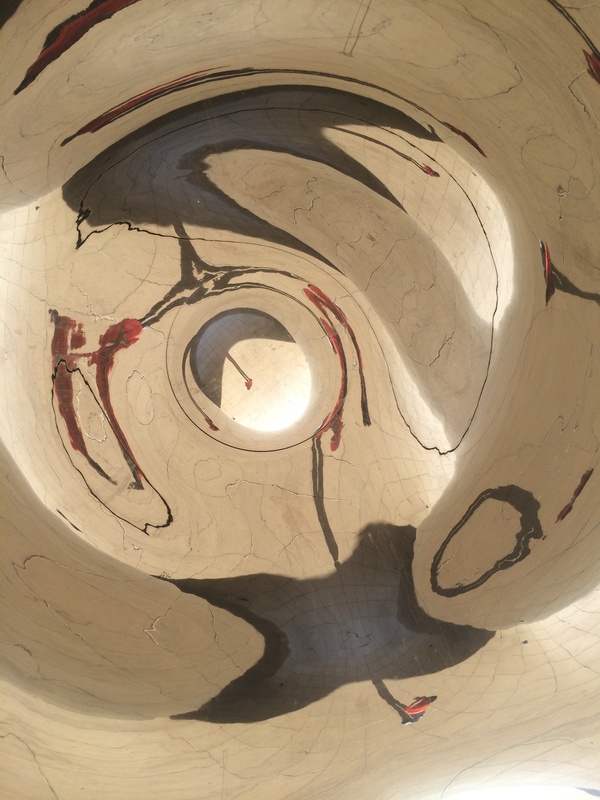 Weekly Wrap-Up: Crossing Illinois off the list! 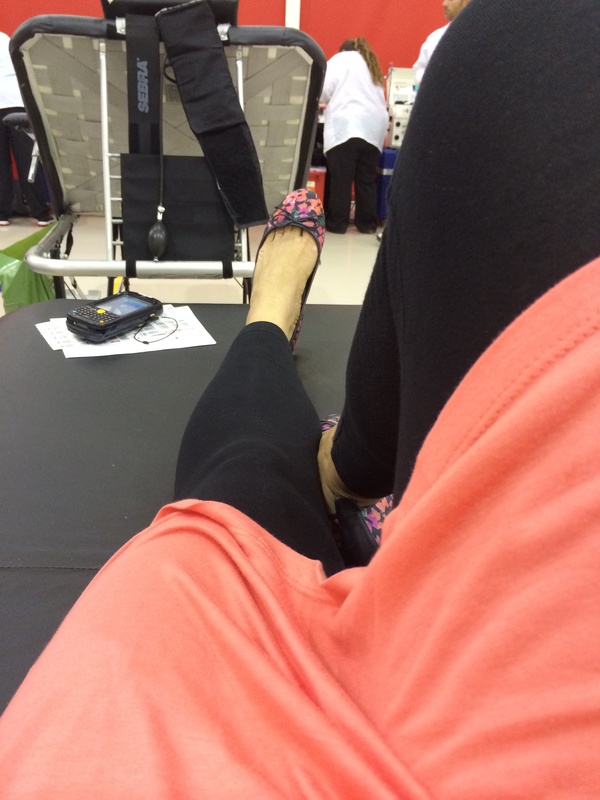 Tuesday 20 minute walk on campus, but no other workout as I gave blood at lunch. Those little shoes were cute but not enough support for the hills I walked on campus that day and I ended up flaring my plantar fasciitis. 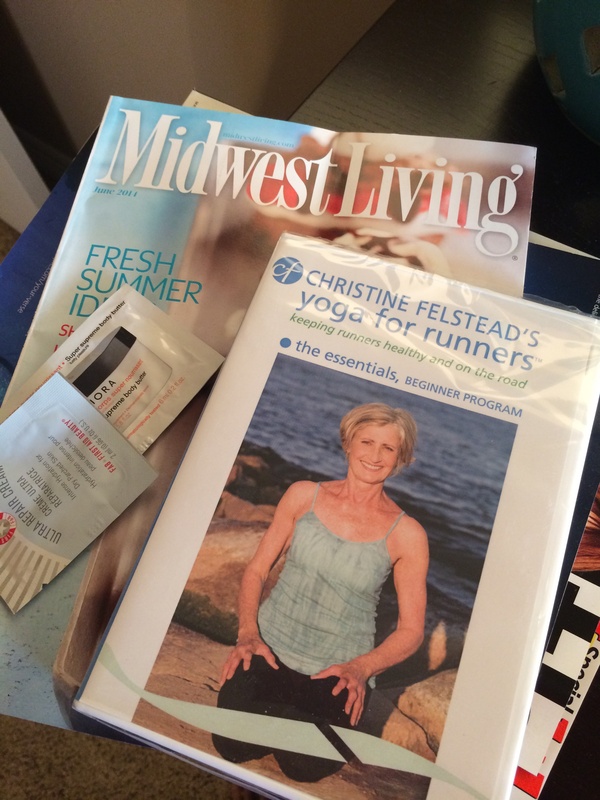 Friday 10 minute walk in Chicago and 40 minutes yoga with my new DVD. 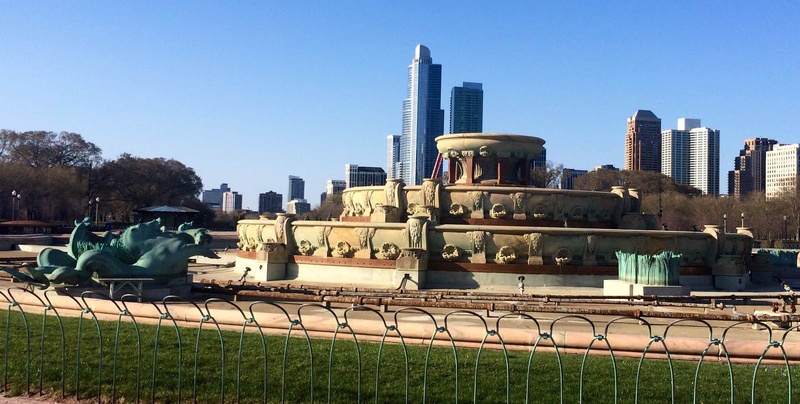 Saturday Gorgeous 3.25 mile run in Chicago, through Millenium Park and then down along Lake Shore Trail. It was a great city run, even with the annoying pauses for traffic and red lights. It was a beautiful day! I’ll definitely be heading out for another run today, but it’ll depend on the weather as it’s getting chilly and windy here. Not sure I have enough layers to head out again! I want to get to 50 miles by April 30th to get to the halfway point in mileage and time in the 100 mile challenge, so that means I need to get in 11 miles between today and Wednesday. I’ll definitely get there! 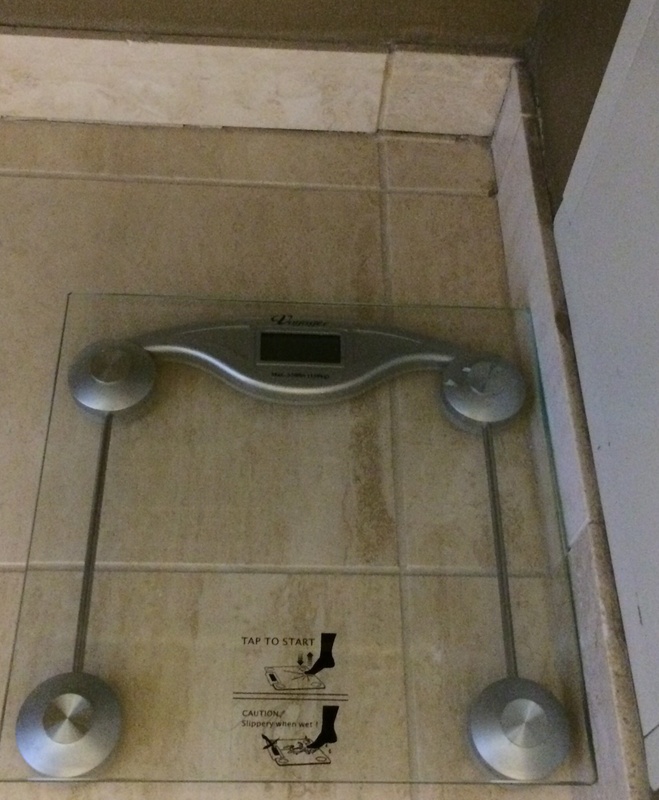 While I was exploring the lovely bathroom (big tub and a separate shower), I found a scale. I can’t imagine weighing myself while traveling – that seems like a really good way to mess with your head! Different scale, different food, retaining fluid from flying – no thank you. I am not going to be using this particular amenity of my lovely hotel. There were lots of great articles this week about the Boston Marathon, but my favorites are the story about Ryan Hall helping coordinate the other runners to help Meb to his victory. For a solo sport, runners can be amazing team players! I also enjoyed this article about Juli Windsor. I read the original article in Runners World a month or two ago, about the attempt that she and another man with dwarfism made to run the marathon last year, only to be derailed at the end. I’m so glad to hear that she was able to finish this year and astounded by how fast she is given how many extra steps she takes compared to the others! What an athlete and an inspiration! 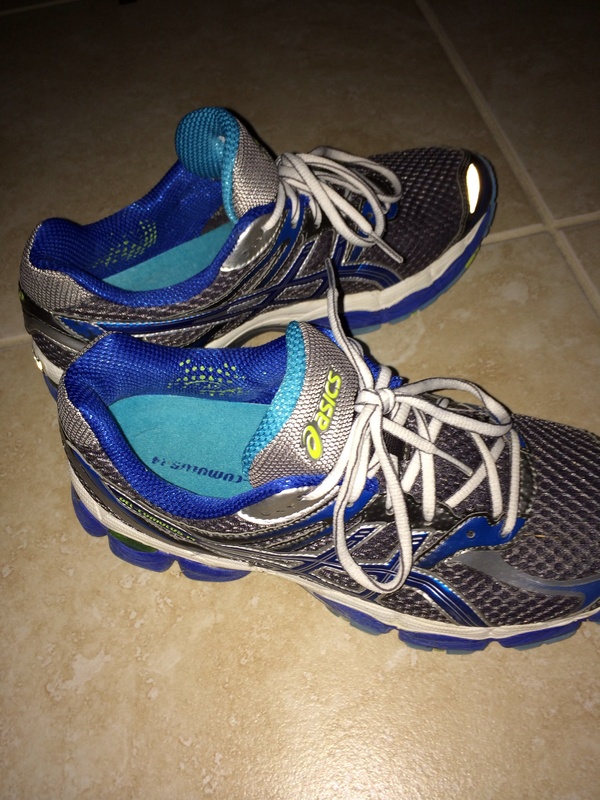 With spring finally here, my brain is apparently set on getting faster because two of the blog posts I’d flagged this week were about speed work: 2 Cups N Run has some tips in this post about getting started with speed work (I particularly like the part being sure the easy is actually easy!) and Jen has a mix of serious and not so serious tips here as well. I loved the idea of flailing your arms and giggling like a kid. 🙂 (and will seriously think about my posture in speed work)! Also check out the recent Another Mother Runner podcast (#105 – Demystifying the track) that talks through track etiquette and workouts in a way that truly made it seem less terrifying. 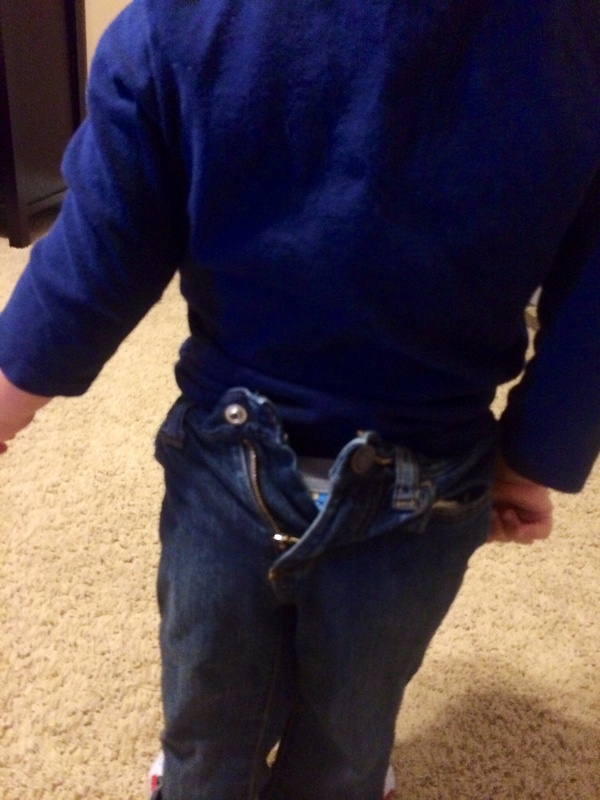 I was impressed he got both legs correctly in the pants even if they were on backwards. Ring is officially re-sized! It feels nice to wear it again after going a year without it for the most part and as much as I love crossing things off of my list, it also feels good to achieve this goal for the month! I confess, I was nervous when she handed it to me and I had to try it on again because I was worried there was some fluke or error in measuring my finger last week. I was so worried that somehow it wouldn’t fit, that my finger really wasn’t that much smaller and then I’d ruined my lovely ring for nothing! Crazy the things that go through our heads, right? 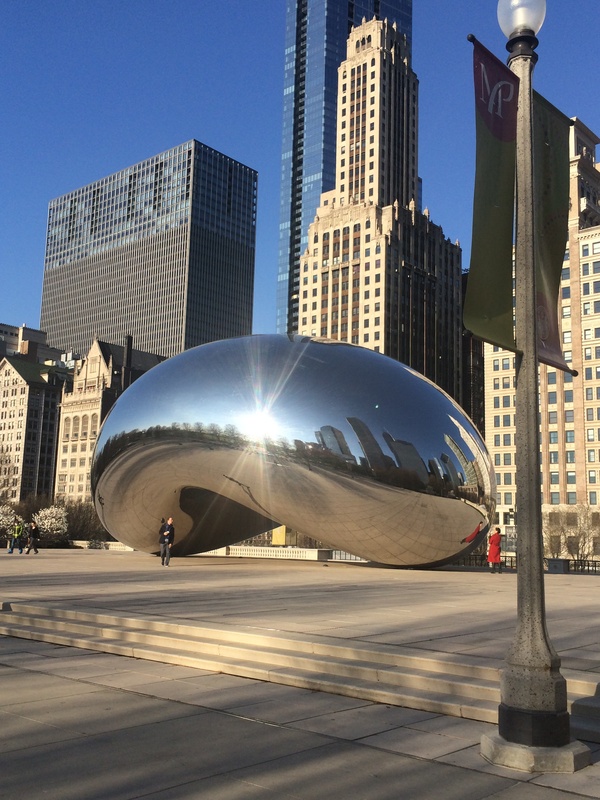 I’m leaving town early (EARLY) tomorrow morning for a quick meeting in Chicago Friday afternoon through Sunday morning. I travel several times a year with my job and it’s always interesting to juggle things as a working mom. I have to make sure I’ve stocked up on the foods my guys need (although I know they can hit up pizza and/or Village Inn while I’m gone) and make sure the laundry is done so there are enough clean clothes. Yes, my husband can absolutely take care of himself and O while I’m gone, but it makes me feel better to get these little things set for them. I will confess there are a couple of things I’m looking forward to about this trip. First, I get to run in a new state and cross Illinois off of my “Running in 50 states” goal list. I also don’t have to worry about what I’m missing at home while I’m out running, so I should be able to get in a nice long run. I have a stack of magazines that have been piling up at home that I now get to read on the plane and I get to try out my new yoga DVD without worrying about what else I should be doing during that time. What I’m really looking forward to is the chance to try out some of the many little Sephora samples I’ve stockpiled! Uninterrupted time to primp and play with girly things just seems so blissful. 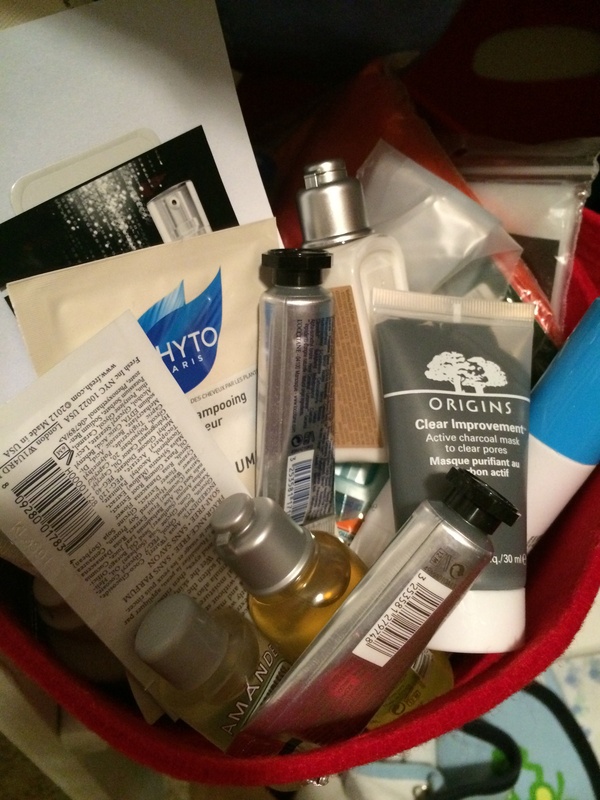 I keep my little stash of samples in a special container in my closet that I raid any time I travel for work because I know then I’ll actually have time to try out that new face mask or body cream or whatever without someone calling for me. 🙂 Honestly, travel for work is also the only time I ever actually take the time to style my hair. Thank goodness I have a very good haircut and texture for my “wash and go” lifestyle, but it’s fun every once in a while to actually try to use the blow dryer. What are the perks you look forward to when traveling? Weight Loss Wednesday: Is it worth it? We get presented with choices about food all the time and over time, it gets easier to make the healthier choice because we learn what makes our bodies feel good and what fits in our daily allotment of points/calories. Along the way, we make a lot of little decisions about what is worth it or not and no matter how long you do this, you’ll still come across new treats or indulgences where you have to decide: Is this worth it? – Is it going to make me feel guilty or bad about myself? Yes, that means there are deeper issues about your relationship with food to work on but that also means that maybe that particular food “costs” more than the points on paper. – Is it going to make it harder for me to stay on plan for the rest of my day/week? Bread is like this for me. Even when I have the points for it, I rarely spend them not because a Red Lobster Cheddar Bay biscuit is not totally worth 4-5 points, but because it isn’t worth the hungry feeling I have for the rest of the day after eating bread. – Is it something where I can control my portion size? Speaking of bread, the other reason bread is only worth it for me if there are witnesses around is my own inability to self-regulate my bread intake. Sad, but true, there are certain foods I just have a hard time being satisfied with a small portion of, like ice cream. – Is it amazing or just average? Homemade cookies, possibly worth it. Generic packaged store-boughts, probably not. Cupcake from Jones Brothers (for you locals who know what I’m talking about) – worth it, generic chain restaurant cake – probably not. 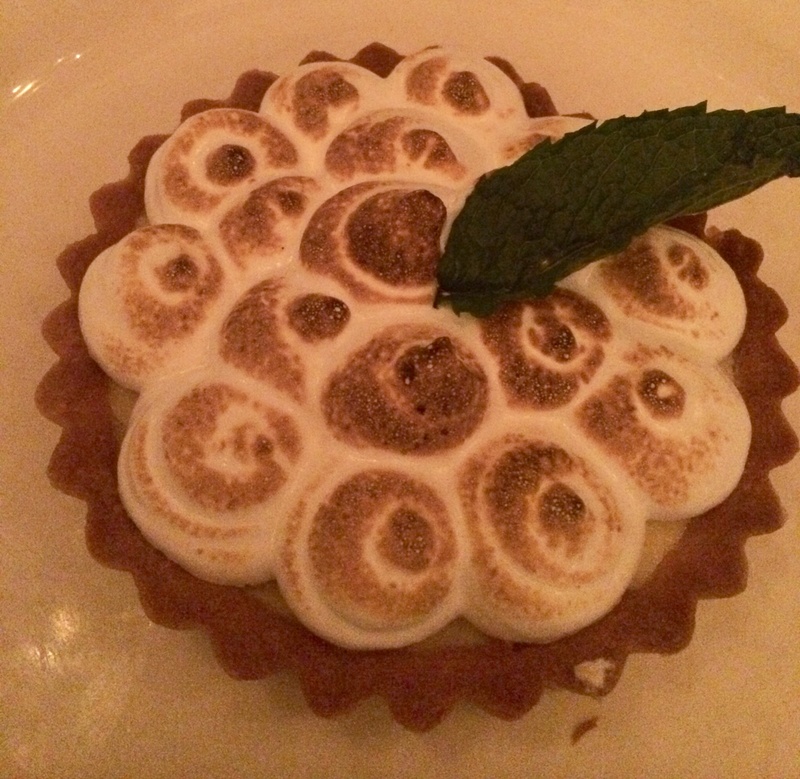 Lemon tart with marshmallow topping at Raglan Road – yum! – Will I spend the rest of the day eating “instead of” points? My WW leader used the phrase “instead of” points to talk about all of the things we eat to fill that empty spot we are left with after ignoring a craving for a specific food. I really want “x” but didn’t have it, so now I’ll eat “y” “z” and “q” because I’m feeling snacky and neglected. Or, in my case, eat “y, z and q” because I was such a good girl and resisted the “x” temptation in the first place! – How many miles am I going to have to put in to balance out this indulgence? Sometimes thinking about it in terms of miles helps a lot. A piece of pie for 600 calories may not seem that bad if I’ve eaten well all day, but for 6 miles it had better be good pie! – How much other food could I eat for the same number of points (or calories)? I like to eat A LOT of food, so I find myself thinking I could eat this tiny energy for 7 points or a sandwich and string cheese for the same five points. I choose bulk almost every time. Once you’ve decided that something is worth it, two other things to keep in mind. 1) If you’ve decided it’s worth it, don’t beat yourself up about eating it and enjoying it! If you make the conscious choice to have it and think through all the things above, you shouldn’t beat yourself up later because you had that homemade croissant. Having occasional treats is what makes any diet change liveable! 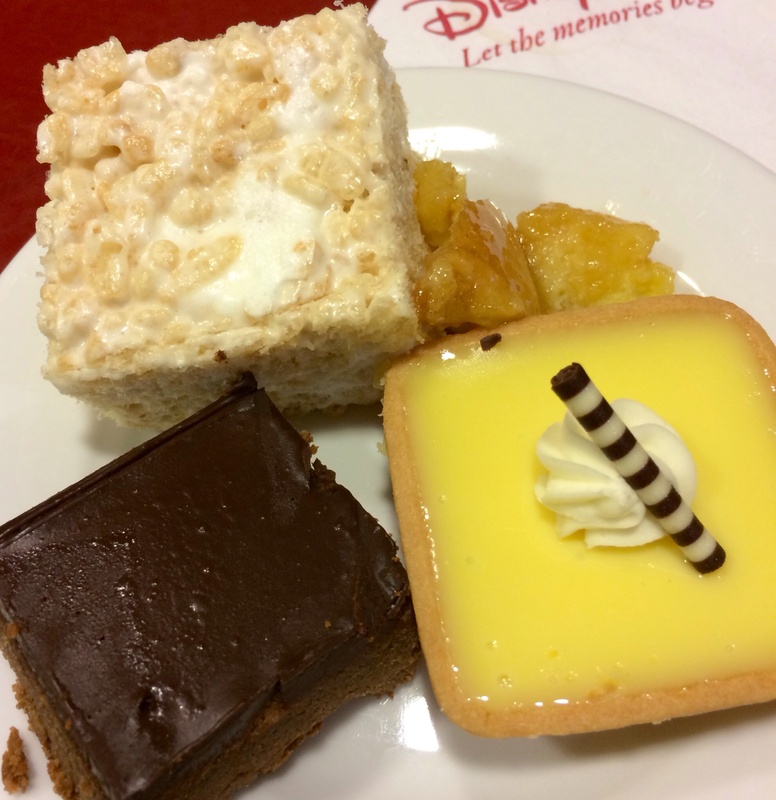 Of these, I only ate all of the lemon tart. What foods are always worth it for you? Last week, we tried out a new recipe from the Weight Watchers meeting flyer and it was actually really good! As I repurposed the leftovers last night (more on that later!) I realized I should definitely share the recipe since it is possibly our most successful Weight Watchers recipe ever. I tweaked it a bit, so the proportions I’m giving you in the ingredients are what I actually used. Preheat oven to 400 F. In the bowl of a food processor fitted with a chopping blade, place ginger, garlic, and scallions; pulse until finely chopped. Add shrimp, pork, sesame oil and soy sauce; pulse to combine. Spoon mixture into small bowl. Lightly coat a baking sheet with cooking spray. Place wonton wrappers on prepared baking sheet so they look like diamonds. Fill a small bowl with water and, using your finger or a small pastry brush, coat edges of the wrappers with water. Spoon a heaping teaspoon of shrimp mixture onto the middle of each wrapper; fold each wrapper over filling to make a triangle and press to seal edges. *It takes a few to get the hang of not over-filling these. Coat tops of wontons with cooking spray and bake, flipping once, about 3 minutes per side. 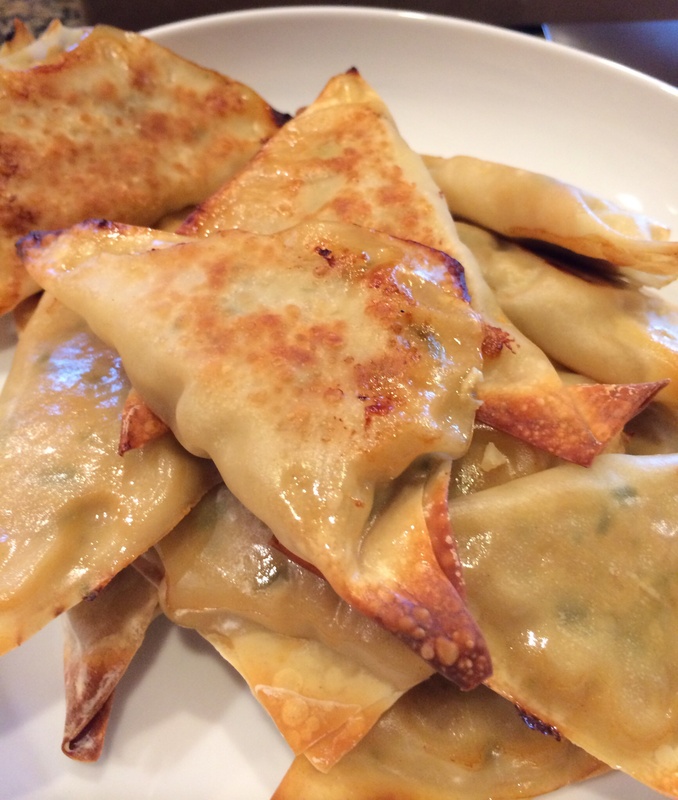 If wontons are not crispy enough, bake for 1-2 minutes more. *The original Weight Watchers recipe called for 2 oz shrimp and 3 oz pork, but I used more because I was using this as a meal not a snack and wanted to make more. Also, the original recipe called for 1 tbsp lemongrass, which I left out because I didn’t have. I also added the water chestnuts, which I did have on hand, to bulk things up a bit. The first night, we ate these as a meal with stir fried veggies on the side although they would also make a great party snack or appetizer. The flavor is really nice, thanks to the ginger and sesame oil, which come through nicely without being overpowering. You could also add a little hot sauce or sriracha to spice things up a bit. The wontons as a whole didn’t reheat particularly well – they lost their crispness when I tried to warm them up in the microwave a couple of days after I initially prepared them. They might do better frozen and then reheated in the oven. Last night, I ended up opening up the few wontons I had left and using just the filling as a salad topper and that was delicious! The filling has a really nice flavoring and definitely jazzed up my salad nicely. I might try mixing up just the filling and cooking it as a filling for lettuce wraps one day. A little teary watching the Boston finish today . . .
It’s a hugely busy Monday for me, but I timed my check of the Boston Athletic Association’s website exactly right to catch the finish of the Boston marathon just now. If you haven’t seen the finish, I won’t spoil it, but I will say that I found myself unexpectedly teary watching it. Knowing how hard the winner must have worked to do this and the reasons for it says so much about the running community and the strength of the running family. 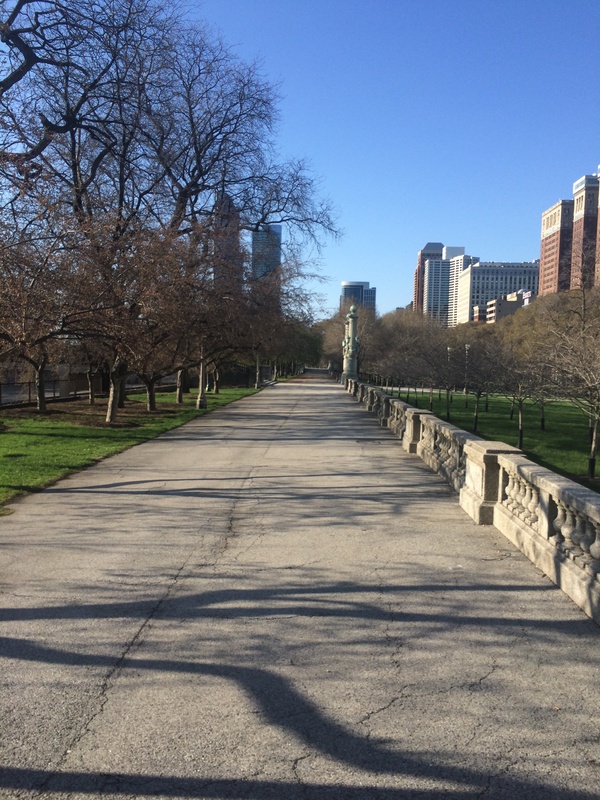 Last April, I was still early in my running journey and I was just becoming aware of how important Boston was for runners. (Honestly, two years ago I don’t think I was even aware there was a Boston marathon.) I was starting to understand how truly connected the running community was. I’d always had the impression that running was a very solitary sport, something of individual accomplishment. That’s certainly true in lots of respects and I value a lot of that aspect of running: competing with myself and time to myself and my own thoughts. The response to Boston and the sense of personal violation among the entire running community was amazing to me. Runners really see themselves as a family, no matter how elite you are or how slow and amateur you may think you are. As a family, runners came together to help those who were wounded in so many different ways and as this year’s event approached, they came together to show the world that they still run. This week, I know that I am part of this running family. There is no entrance exam or application process. If you want in, runners will let you in and that’s a beautiful thing. Knowing that today’s Boston Marathon winner trained to win this race, and not only won but won with a new personal best because he knew the running family needed this win, brought me to tears a bit. Even more, knowing that there are thousands upon thousands of other runners who are going to hit the road or the trail or the treadmill today in solidarity for all of the running family on this day makes me so proud to be part of this community. I may not run as quickly or as confidently as those elites crossing the finish line today, but I run. 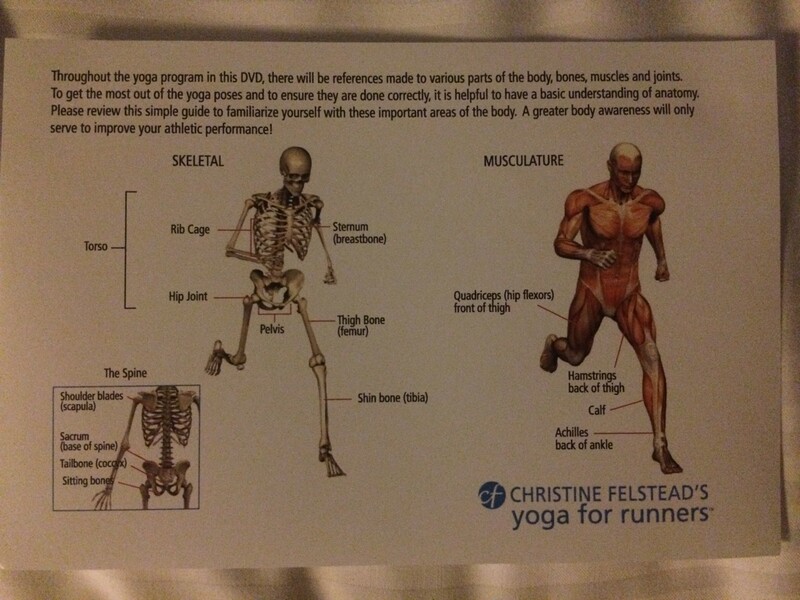 We run for all of those who can’t and in gratitude for our bodies that allow us the privilege of movement.